Mount Shasta is considered by many to be North America’s premier ski mountaineering peak, and for good reason. It provides up to 7,000 feet of riding in one run and from May to mid June you can find great spring corn conditions. 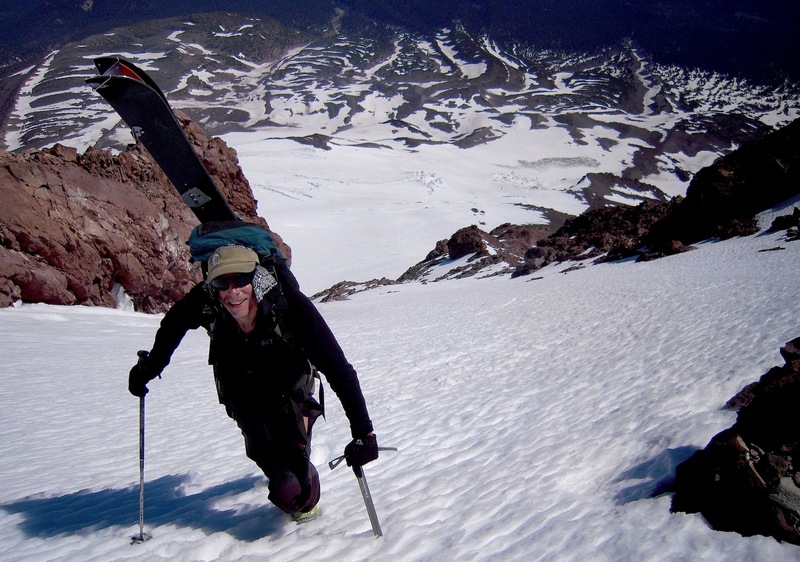 Join us on a three-day splitboard mountaineering adventure on California’s spectacular volcano. We are your Splitboard Guides for Shasta with over 20 Years experience on the mountain and a continued guiding relation working with Shasta Guides for the last 12 years! No one else knows Shasta quite like we do! 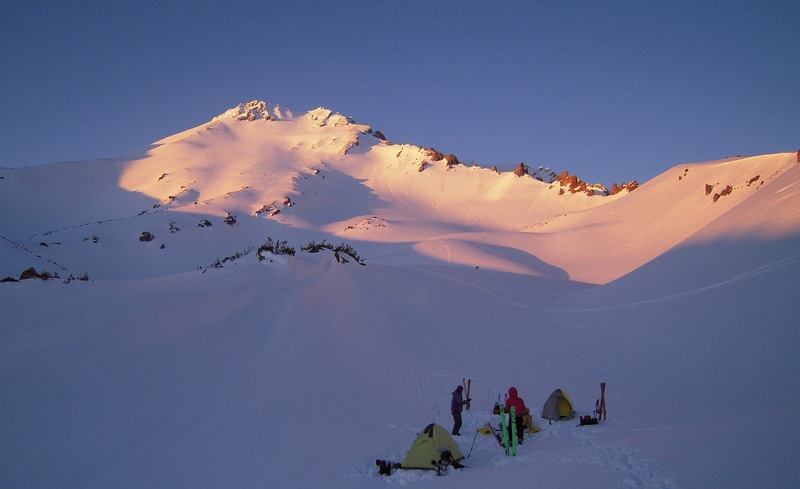 We meet in the town of Shasta at the Shasta Mountain Guides headquarters on the first day and then skin in about 3-4 hours to a base camp in the beautiful Hidden Valley on Shasta’s West side where we will establish a comfortable spring ski camp. On day two we will set off from our camp and shred around Shasta’s sub-peak Shastina and practice ice ax and cramponing techniques in preparation for the big summit day. On day three, we have a very early alpine start and attempt the summit of Shasta using ice ax and crampons for our ascent. Then it’s time for the reward, thousands of feet awesome turns high above Northern California. Our preferred descent route is the incredible West Face, a consistent 38 degree slope with five thousand feet of turns all the way back to camp and another 1500 feet back to the trail head. *Summit itinerary and route subject to change due to weather. Join us on the snowboard descent of a lifetime this spring! PREREQUISITES: Advanced level snowboarders comfortable riding black diamond runs at a resort in any conditions. Very good physical condition required. No previous mountaineering experience needed. Previous backcountry snowboarding experience is helpful but not required.